Inugami Finnish Spitz is located in Mirabel, Québec, Canada. We lived in a residential area surrounded by the wood, and our home have been construct with the care for our dogs in mind, with an indoor/outdoor access kennel and a really big garden for our dogs’ daily exercise. All of our dogs live in the house as cherished family companions. 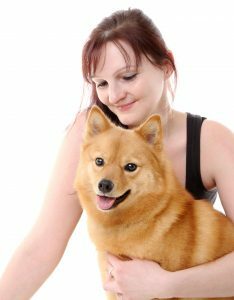 We have a small home based breeding program and are dedicated to Finnish Spitz with cheerful temperament and good structure to ensure that they will have a healthy life and good character. All of our dogs are family members, puppies are whelped in our nursery and are socialized by our family, friends and clients. We are active member of the Canadian Finnish Spitz Club (Québec Director and CFSC’s website designer and manager), member of the All Hound Club of Québec and of the Canadian Kennel Club.